Friday, November 16, 2018: Special thanks to our neighbors to the north, AES Huntington Beach, for a great event on our marshes on Friday, November 16th. Forty-eight of AES employees and management turned out for this event. Due to their great efforts, we were able to remove over 500 pounds of trash from our Talbert Marsh and 300 pounds of trash and non-native plants from our Magnolia Marsh. 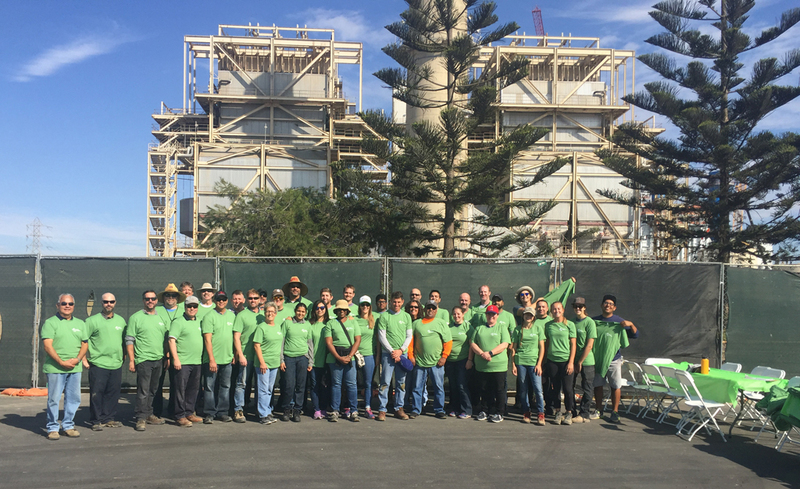 The team also assisted in planting 500 plants in support of our Salt Marsh Bird's Beak Project, helping an endangered species of plant, and cleaned and stained our Observation deck and memorial bench. Thank you again, AES. Saturday, August 18, 2018, starting at 9:00 am: We will be having a "Wetlands Clean-Up" event at our Magnolia Marsh. This event will be to weed, water and clean-up in the area we are growing the endangered plant species "Salt Marsh Bird's Beak" and to support our April planting of 500+ plants. 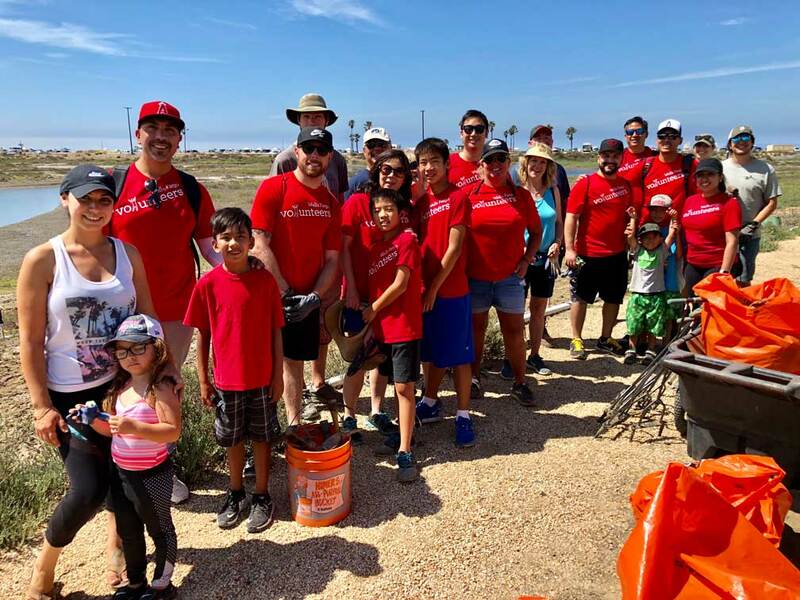 Cleanup Volunteers on July 21, 2018; 28 volunteers from Wells Fargo, ADT, local church group and HBWC intern.